Fanzine lovers and independent publishing enthusiast can track down to the Southside, from 12th-15th October, to check the third edition of the event that includes exhibitions, talks, workshops and obviously, creative independent publications. Birmingham Zine Fest has helping to spread the alternative publication along the years in the city and its reputation has gathering together comic and fanzine fans as well as small publishers from all over the world. BZF 2012 counts on over 30 exhibitors in a event held in many venues of central and Southside city, such as Sidewalks, Custard Factory, 6/8 Café among others. In partnership with Eye Candy Festival, the festival is also showcasing design, illustration and art this year. 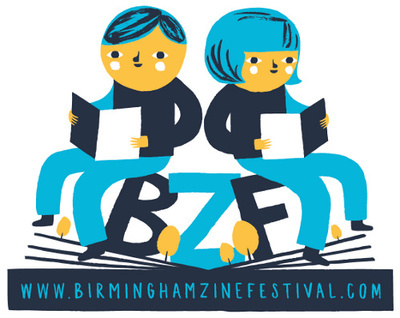 For more information please visit the Birmingham Zine Festival Website.